TFBB III was a resounding success. 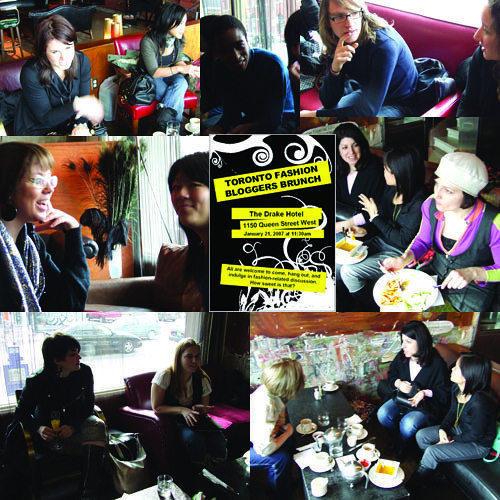 Full of lively conversation, event invitations, tips, bloggy gossip, and topped off with a clothing swap – it was terrific. Thank you to everone who came for making it the best brunch yet! Anita of I want – I got and blogT.O. Thanks to the Drake Hotel for a great atmosphere, yummy brunch and excellent service. It was great meeting you, the other fashion bloggers and friends. I love what you’ve done with the photos. Thanks for organizing this terrific get-together. yes, it was fun! thanks for organizing it! thanks again! it was so great to meet you all – finally! Great to see a bunch of new faces – and a minute or two to talk politics!! Best TFBB yet. Thank you everyone for making it so.